It took me too long to get around to Strengthening the Soul of Your Leadership: Seeking God in the Crucible of Ministry. I am a Ruth Haley Barton fan and I’ve read several of her books: Invitation to Solitude and Silence (IVP 2004), Sacred Rhythms (IVP 2006), Life Together in Christ (IVP 2014). While there are tons of authors who explore the realm of spiritual disciplines and spiritual formation, Barton has a special gift for combining an evangelical sensibility with contemplative spirituality. She is a spiritual director and the founder and president of the Transforming Center, an organization dedicated to strengthening the souls of pastors, Christian leaders, and congregations and the organizations they serve. So being a Barton fan, Strengthening the Soul of Your Leadership (SSYL) had already been on my ‘to read’ list for several years, when a couple of years ago, a pastoral job I had imploded, and I was left reeling. Several friends and colleagues recommended this book and I made plans to read it. Though I never, until now, made it past my several false starts. I think I wasn’t in the right psycho-social-space to wrestle with this stuff. Now in its second edition, SSYL frames the soul-formation of a leader with the life of Moses as her reference point (a page taken from Gregory of Nyssa’s The Life of Moses?). Moses was a Hebrew raised in the house Pharoah, and his first attempt at leadership resulted in murder and coverup. The fear of being found out drives Moses to the wilderness. There, solitude begins to work on Moses’s Soul as he confronts his struggles with identity (who is he, learns to pay attention, and wrestles with vocation. When Moses emerges from the wilderness, there are other lessons he needs to learn about leading others, the gifts of the round-about-wilderness way, intercession, isolation, and sabotage, delegating, leadership community and detachment. God’s call to us is to find a way to do what Moses did—to leave our life in the complany of others at least for a time, to let go of all of our attempts to fix whatever needs fixing “out there,” to leave whatever hope we had of leading people somewhere, and to believe that what needs to be done in the deep interior places of our life is the most important work to be done right now. In fact, to try to press on without paying attention to whatever it is that is bubbling up from way down deep is the most dangerous thing we could do. (40). So, each chapter weaves examples from Moses, from Barton’s own life, leadership and ministry, and examples from the lives of others who have thought to lead attentive of their inner life. Notable examples include Gary Haugen of IJM, who also wrote the forward, and Martin Luther King’s wrestling with the dangers of being a Civil Rights leader, and his detachment from seeing his work come to fruition (“I’ve been to the mountaintop, I’ve seen the promised land. . . I may not get there with you”). The emphasis throughout is on practicing the sort of spirituality exhibited in the life of Moses. So each chapter closes with a practice designed to help us press into God and reflect on the character of our leadership. Often this is a moment in solitude. Listening to our breath, reflecting and listening in the quietness to what God may be whispering to our soul. A time to stop and attend to what is in us. My exegetical, seminary-trained self, is occasionally critical with the way Barton uses episodes from Moses’ life as illustrative of spiritual practices, whether or not that is what the narrative is about. Moses didn’t run into the wilderness to pursue a life of silence and solitude and devote himself to prayer. He ran for his life because he was scared. He didn’t go there to do inner work. Did the angel of the Lord cause the burning bush to burn and not be consumed because Moses was now ready to turn aside and pay attention? (60-61, chapter 4) This seems more pre-text than text. I wondered as I read if Moses story provides a canvas on which Barton simply paints the picture of spiritual formation she wishes to describe. Yet, just as often, I found her insights into the story opened it up to me in ways that I had not previously considered. For example, Moses named his son Gershom because he had “been an alien in a foreign land” (Exodus 2:22). Barton reflects, “this is a profound admission. It had taken a very long time, but finally, Moses was able to acknowledge what was underneath the behavior that had gotten him where he was. He was finally able to admit that all his life he had struggled with his identity and he was mad as hell about it” (47). The sense of identity dislocation and his feeling like an imposter makes sense of the young Moses’ life. Not only is this fruitful for understanding my own struggles with identity in leadership, but it changed the way I read Exodus 1-3. Similarly, the way Barton inhabits Moses angst and disappointment of seeing a promised land he would never enter was instructive and illuminative. While this is the second edition, I didn’t notice any substantive changes in the main text of the book. SSYL remain the same, word for word, by my reading anyway, what it was in the 2008 edition. But included in this edition is a flexible group discussion guide (for a weekly group or meeting with a spiritual mentor) and an assessment tool for gauging the state of our souls as leaders. How do we effect change at a congregational level? What does it take to transform community? Jim Herrington and Trisha Taylor provided leadership to Riddler Church Renewal, a personal and congregational transformation process out of Western Seminary, working with pastors and congregations in the Reformed Church of America (RCA) and the Christian Reformed Church of North America (CRCNA). They developed a transformational model which is based on organizational theory, family systems, adaptive leadership, neuroscience, and biblical principles. 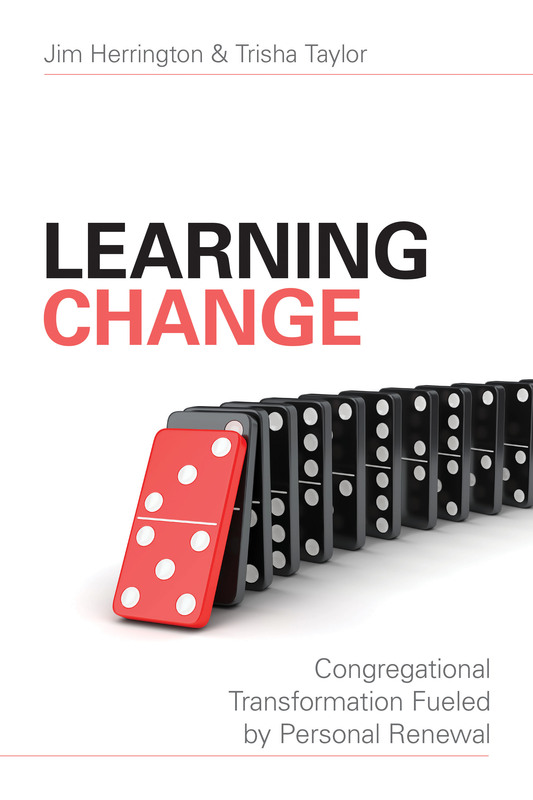 In Learning Change, Herrington & Taylor, along with seven pastors who participated in the Riddler Church Renewal Process present the insights they’ve gleaned from their research. Herrington and Taylor’s co-contributors include: Michael DeRutyer, pastor of Midland Reformed Church in Midland, MI; Drew Poppleton, former pastor of Heartland Community Church in Lafayette, IN and current Ph.D. candidate at Fuller; Nate Pyle, pastor of Christ Community Church in Indianapolis, IN; Chip Sauer, pastor, Community Reformed Church of Charlevoix, MI; Jessica Shults, pastor of Standale Reformed Church in Grand Rapids; and John Sparks and Brian Stone, former co-pastors of Haven Church in Kalamazoo, MI. Learning Change: Congregational Transformation Fueled by Personal Renewal unfolds in four sections. In part one, they outline their approach and make the case that transformation of a congregational system starts with personal transformation in the life of its leader. Poppleton writes, “In the beginning, I looked outward and assigned blame to the congregation. As it turns out, the problem was not them. I was waiting for others to change and complaining when they failed to do so. I needed to stop worrying about the speck in their eye and focus more on the log in my own eye. I needed to focus on the only person I could change: me”(47). This focus on personal development is explored throughout the rest of the book. The contention of Herrington & Taylor, et al. is that it as a leader begins to change, the congregational renewal they long for becomes possible. In part two, they outline four core values for leaders to work on: Integrity, Authenticity, Courage, and Love. It is as leaders learn lifestyles of Integrity (conformed to God’s design), share our true selves, take risks and commit to loving those in our charge that communal transformation begins to happen. Part three discusses mental models which enable us to shift our thinking about discipleship, personal responsibility, the power to change, problem-solving and systems thinking. Finally, part four provides ‘additional tools’ for personal leadership development. There is a lot of good insights this book, and the authors draw on a huge range of resources from sociology, organizational leadership, discipleship, spiritual formation, and systems thinking. The leadership books I appreciate most are all focused on personal development, which is front and center here. The chapters are organized for leaders’ and lead teams’ use. Each chapter closes with suggestions for practice and reflection and links to resources from Riddler Church Renewal for going deeper (plus chapter bibliographies for additional resources). The contributors each illustrate their chapters with anecdotes from their own ministries. but they speak with a unified voice about how personal transformation. Notice of Material Connection: I received a copy of this book from Kregel Academic & Ministry in exchange for my honest review. When I picked up To Alter Your World: Partnering with God to Rebirth our Communities, I was already a Michael Frost fan, having read several of his books on the missional church and incarnational community. I was less familiar with his co-author, Christiana Rice; however, as a missional practitioner, church planting coach and trainer for thresholds, she brings keen insights to what it means to partner with God in the birthing of New Creation for neighborhoods and communities. Together, they crafted a book that is both helpful and awakens my imagination for mission. Frost and Rice’s book is about transforming communities and neighborhoods, as its title, To Alter Your World, implies. Yet, I think this is one book where the subtitle, Partnering with God to Rebirth our Communities, is a more apt description of the book and its contents. The first half of the book (chapters 1 to 6) rests on images and metaphors of birth: labor, birthing, midwifery. The latter half of the book describes the dynamics of bringing social and spiritual change to neighborhood and place. In chapter 1, Rice & Frost describe how God groaned like a woman in labor (Isa 42:14) awaiting Israel’s rebirth—their return from exile and captivity (14). They connect Israel’s experience to the Church’s role in welcoming the Kingdom of God into our broken world. In both cases, it is God who does the (re)birthing of communities, and not our frenetic religious or political activity. Nevertheless, we are invited to partner with God in his restorative work. “Only this one—the Ancient of Days—can change our world, and those of us who have heard God’s groans and responded in faith are invited to serve God in this empire-shattering work” (28). In chapter 2 and 3, Rice and Frost address the types of things which stand in the way of partnering in the New Creation, God is bringing (e.g. the church’s disengagement from secular life, colonizing methodologies, and big-box rootless churches, disconnected from the places and communities they inhabit). Frost and Rice articulate an invitation to churches and missional communities to be a disruptive presence by heeding God’s restorative purposes for communities. The metaphor of midwifery is an alternative metaphor to the sort of militaristic ‘band-of-brothers’—let’s take this city for Christ!—metaphor for mission. Midwives don’t deliver babies, they attend births, hold the space, help open doors, and nurture the birthing process. Frost and Rice draw the parallels between midwives attending birth children and leading pioneering missional movements which transform communities. Missional leaders attend to the New Creation God is birthing in their neighborhood context. Rice draws parallels between the midwife’s role at the birth of her children, and she and Frost point to stories of similar dynamics, as missional communities and churches partnered with what God was birthing in their communities. In chapter 7 they present the Emory Social Change Model, which describes social change at the level of (1) the individual, (2)interpersonal relationships, (3) community, (4) institutional and (5) structural levels. While all levels are necessary and are encompassed by concentric circles, most churches operate at the individual and interpersonal levels, “encouraging personal self-awareness, congruence, and commitment” (124). However, Frost and Rice argue that to “catalyze social change there needs to be more work done on the three higher tiers” (124). By focusing on community and societal transformation, missional communities cast a bigger vision for what social transformation may look like in their contexts. Chapter 8 demolishes the old clergy/laity divide, describing a more inclusive vision of work and vocation for community/church members. Chapter 9 explores how to change the world through place crafting (the church working with-in and in-with the wider community to bring about mutual flourishing). In chapters 10 and 11, Frost and Rice describe how the road towards social change, is also a road of mutual life with those communities. Missional communities do not just work to change others, they too are changed. Missional communities do not just do just ‘take the city for Christ’ but are invited into a lifestyle of suffering and greater vulnerability as they seek the good of the city (or neighborhood) they are planted in. Frost and Rice have given some helpful and heartfelt instruction to those of us who long to see the Kingdom more fully revealed in our midst. Through stories and the midwife metaphor, they make vivid a vision of mission. On a personal level, I found the ‘midwife/birthing’ chapters the most compelling part of this book, because it describes the missional vocation as actively partnering in the process of bringing about new creation (the Kingdom of God/the fall of empire/social change) without turning the minister into ‘the one who makes it all happens.’ The role of the midwife is not passive, but responsive, not manipulative but attentive and nurturing. This seems fundamentally right to me. Contemporary Churches (2015) is a short booklet by Louis Kavar, Ph.D. designed to aid churches in transition and in need of revitalization. Kavar is an ordained minister in the United Church of Christ with thirty-five years of experience in pastoral ministry, a psychologist, and pastoral counselor, and spiritual director. He brings his wealth of ministry experience to bear on helping churches shift from traditional congregational gatherings to something more life-giving and sustainable in our postmodern context. There are five chapters of Kavar’s book. Chapter 1 describes the cultural shift we are in, where the wider culture is not responsive to the church’s traditional and institutional structure. Kavar describes our need to move from where we are, to begin to configure and conceptualize church in new ways. Chapter 2 describes the movement from death to life, as congregations move through the stages of grief, a spirituality of bereavement, toward resurrection and new vitality. Chapters 3 and 4 moves toward a new model for the local church. Finally, Chapter 5 describes the spiritual practices and rituals that will sustain a church in transition. 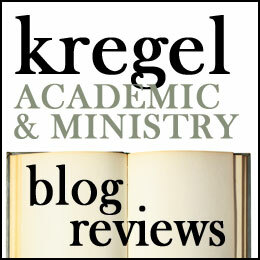 Kavar writes, “The vitality of the Christian life is not dying. Instead, structures that no longer represent the way of life our culture embraces are fading away. In this transformation, the words of Isaiah 43 is true for us today, ‘Look I am doing a new thing. It’s emerging don’t you perceive it?'”(94). I knew that Kavar was a clergy person, a spiritual director, and a psychologist when I picked the book up. I somehow got in my head that this book was about ‘contemplative church transformation.’ It took me waaay too long to realize I read that it was called Contemporary Churches, and not Contemplative Churches. But Kavar draws more heavily on psychologists than mystics. That isn’t to say that he doesn’t deal with spiritual transformation ( he employs Brueggemann’s orientation/disorientation/reorientation framework, the rhythms of death and resurrection, the example of Jesus, spiritual practices, discernment and the operations of the Holy Spirit. And he incorporates insights he’s gained as a psychologist and a church strategist. Resources abound for church revitalization and congregational transformation. This isn’t the first resource of this kind I’ve read, though it is perhaps the most mainline one I’ve read. Kavar does reference mainstay evangelical authors like Michael Frost and Alan Hirsch, George Barna, David Kinnaman and Gabe Lyons and even Willow Creek Association resources (but not Ed Stetzer, sorry Lifeway). The changing dynamics of culture effects evangelical and mainline congregations alike, though all anecdotes and illustrative material here are of Mainline congregations and contexts. Some of his examples of shifts (e.g. the move to LGBTQ inclusion and social justice awareness) will be contested in more conservative contexts, but the principles hold true across the theological spectrum. Kavar has some interesting things to say about how for postmodern people, there is a shift in our understanding of church membership from adherence to historic dogma first toward the primacy of communal belonging (members first, dogma later). I’m confessional enough that this makes me uncomfortable, though I recognize he is right about the broader cultural shift. Fellow clergy (and congregational leaders) will benefit from reading this whether or not you buy all of Kavar’s theological assumptions and conclusions. He is a good dialogue partner. I give this book four stars (Contemplative Churches, would have been an awesome book). In my last major leadership context, I wasn’t a particularly self-aware leader. I mishandled a couple of key relationships, missed some opportunities, and failed to execute some things I tried to do. I’m not beating myself up about it, whatever self-awareness I have has been hard won. Terry Linhart’s The Self-Aware Leader is designed to help leaders like me see where their blind spots are— the gifts, vulnerabilities, and opportunities—so we can lead effectively. Linhart is professor of Christian ministries at Bethel College in South Bend. He has served in youth ministry, parachurch ministry, as a leadership consultant and has taught at Asbury, North Park, Hunting College, Taylor University and Alliance Graduate School. The Self-Aware Leader is chockfull of practical insights to help ministry leaders reach their full potential. Self-awareness is a tricky thing. We all have blind spots because of the demands of ministry and our natural capacity for self-deception. Citing Gordon Smith, Linhart argues that self- discerning people are “Conscious of their own capacity for self-deception and thus of their vital need for the encouragement, support and wisdom of others” (15). Throughout the book, Linhart names each area he sees that has potential blind spots. One of the most helpful things about naming these areas of blind spots is how comprehensive it is (though probably not exhaustive). Leaders may be self-aware about one area, but inattentive to another. Linhart does a good job of naming the trees so we can see our way ahead. I also appreciate that he doesn’t see blind spots as wholly negative. “We may have a gift or opportunity that we can’t see that is plain to others” (26). By probing our limited visibility, we may be awakened to new opportunities.
. One insight that I found tremendously helpful was his observation that leaders ought to lead the charge in handling conflict well, in order to foster a community that is ‘warm, inviting and effective’ (143). Linhart describes conflict as one of his own blind spots (as someone who tends toward conflict-avoidance). He offers sage advice on how to address conflict non-defensively, and communicate effectively. It is no secret that we Evangelicals have a leadership fetish. Yet leadership remains important and a worthwhile pursuit. Pastors and ministry leaders need to lead well if our ministries are to be successful We also need to develop the leaders around us. However, a look at the requirements for elders (cf. 1 Tim 3, Titus 1) reveals a leadership, in the New Testament sense, is more about character than specific skills. Jeremy Rios wrote People of a Certain Character with this conviction in mind. Jeremy blogs at Mustard Seed Faith and Toolshed Meditations. He and I attended the same seminary (Regent College) and we share an appreciation of C.S. Lewis, Benedictine Spirituality, and Baron Fredrich von Hugel. He once T.A.ed a class I was in and commented that my writing was a ‘pedantic plod.’ He has a series of ‘Dear James‘ posts on his blog which make me feel self-conscious, especially since we blog about similar themes (I don’t think he’s really talking to me, but I am never completely sure). He has been a pastor and is currently working on his Ph.D. in Scotland. He is more successful, prolific and smarter than I am. I console myself that I’m much better looking (not actually true, but it is a comforting lie). I’ve wanted to read one of his books for a while and was excited about this one because leadership development is a growth edge for me as a pastor. Loving and serving Jesus will mean being bitterly confronted with our own sense of failure and inadequacy. These three observations on the character of Christian leadership, prepare readers to count the cost of leadership and set the tone of humble dedication as we embark on this study (8). The chapters that follow are divided into two sections. The first section probes our identity in Christ as leaders, the second traces out the implications of our mutual priesthood. The tables below show the chapters in each section with corresponding scriptures and suggested practices. 1.Do you know you are loved by God? 2.Do you have a Conviction of Holiness? 3.Are you Filled, and Being Filled, with the Holy Spirit? 5.Do you have a right relationship with Mammon? 6. Are you willing to Submit? 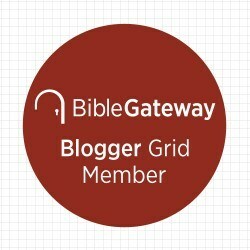 7.Do you know how to connect with the Lord devotionally? 8.Do you know how to listen for the Lord’s interruptions? 9.Do you know how to share the Gospel? 10. Do you know how to minister in the power of the Lord? 11. Do you know how to care for others? 12. Do you know how to restore yourself? His ‘concluding word, based on 1 Timothy 4:6-16 reflects on the crucial components in Christian mentoring. One criticism I have is that Jeremy’s suggested practices are almost wholly private. The exception is he suggests that ‘if you are in a tradition that utilizes confession to a pastor or priest, avail yourself of that system” (25), and writing out and practicing your testimony is designed so that you can share it. I believe, as Jeremy does, in the need for cultivating personal devotion, though I wish he articulated corporate, communal spiritual practices more explicitly alongside these, as I think what we do in community also has a major impact on the quality of our leadership. So: Dear Jeremy, Great job! Note: Jeremy provided me with a copy in exchange for my honest review. He didn’t ask me to say he’s smarter than me. It is just true.